With X-mas coming up, I thought it would be a good time to talk about X-rays! Some of the most frequent questions I get asked in the office are about X-rays. Do my kids really need them? Is it safe? So I thought I’d share some of the basics when it comes to dental radiography and some of my favorite resources. This is a hot topic! Literally! When people are talking about radiation and dosages, they are referring to micro-Sieverts or μSv. Four bitewing X-rays are 5 μSv. To put this in perspective, I’ll share a few other interesting facts. The average person receives a dose of 10 μSv on the average day from background radiation like sunlight. 400 μSv is the yearly dose an average person gets from eating food! Bananas are radioactive at 0.1 μSv. The EPA put a yearly limit on radiation dosage to members of the public at 1,000 μSv. The risk of harm is dependent on both the dose and the dose rate, or in other words, the time that the body is exposed to that dose. So a large dosage over a greater period of time is less concerning than that same dosage in a very short period of time. Digital radiography significantly reduces the amount of radiation that patients are exposed to. Hand held units like the Nomad (the one we have in the office) have even lower radiation exposure than ones that are mounted on the wall. In our office, we also Image Gently. This means that I select X-rays for individual needs (I don’t just routinely take X-rays unless I need to see something), we always use a thyroid shield, and we lower the dosage to a “child-size” exposure time. In this way, I limit X-ray exposure to only that which is needed.  I follow the guidelines from the American Academy of Pediatric Dentistry when prescribing dental radiographs for infants, children, adolescents and persons with special health care needs. These guidelines were adopted from the ADA and the FDA. The table in the above link is very useful! If you want to learn more about X-rays, go to this site by the ADA. Feel free to ask me any questions! I am happy to sit down with you and work out a plan for your child’s specific dental needs! Call me at 843-996-6796. And Happy Holidays to you and yours!